The original whiskey liqueur is as unmistakable as it is classic: Drambuie may not be a spirit for all tastes, but, like Galliano or Campari, it’s a staple you can’t help but admire, if for no other reason than sheer longevity. Now Drambuie is launching a line extension — not its first, but the first I’ve ever seen — Drambuie 15, created with higher-end Scotch, namely 15-year-old Speyside malts, along with the usual honey and herbs to sweeten up the liqueur. 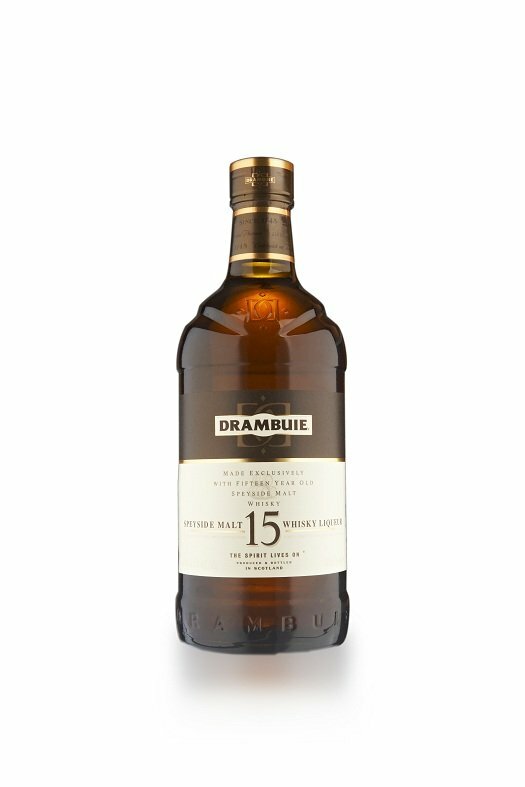 Darker than standard Drambuie, Drambuie 15 is immediately obvious as something different: The nose of regular Drambuie is cloyingly sweet. Drambuie 15 is much closer to a quality Scotch whisky. Just a hint of sweetness in there, really night and day compared to its big brother. On the palate: Beautiful. Malty and rich, the Scotch base shines with nougat, citrus, and light honey notes. Sweet, for sure: It’s light and sugary on the finish, but the overall effect is one of a sweetened Scotch, rather, as is the case with original Drambuie, Scotch-flavored sugar. What Drambuie has created here is actually a perfect Rusty Nail cocktail, prebottled and ready to go. At 86 proof it is dangerous and misleading — on the palate, the touch of sweetness masks the alcohol completely — so tread lightly. The bottom line: I’d turn to Drambuie 15 in a heartbeat when your sweet tooth calls for it. Easily it’s one of my favorite whiskey liqueurs on the market now. Watch for it on store shelves soon. I would like to import a few cases to South Africa for own use. I have developed a taste for Drambuie 15 Year old and can not find any more. If you could help me it will be appreciated.